As the place is well linked via air, rail and road, reaching here won't be a problem at all. Tirupati Airport, being the nearest one from this place would be the suitable choice for tourists coming via air. For travelers coming by train, the rail station at Cuddapah is the nearest one. The climate of this place remains dry and cool from December to February while it is summer time during March to May. The months of June to September indicate the arrival of southwest monsoons. So, the most favorable time to visit Srilanka Malleswara Sanctuary is between the months of October and March. 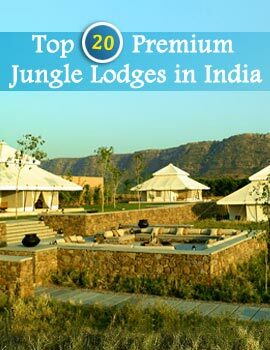 Forest rest houses located at Cuddapah and Siddavatam could be used for accommodation purposes by the tourists. You would have a visual treat at Srilanka Malleswara Sanctuary while viewing the diverse flora and fauna. At this place, you would find dry evergreen shrubs in addition to the dry and deciduous mixed forests. These forests boast of hilly region with gorges and sharp slopes. A special class of flora, known by the name of "red sanders" is also found here. When we consider the fauna found at Srilanka Malleswara Sanctuary, the name which features foremost is that of the rare species of Jordan's Courser. Adequate measures are taken to preserve this species, which is on the verge of extinction. This sanctuary also houses Bonnet, Malabar squirrel, Stately Sambar, Tiger, Monkey, Wild Sheep, Fox, Panther, Mongoose, Jackal, Quail, Bear, Bristly Porcupine, Wild Boar, Black Bull, Spotted Deer, Wild Pigs, Grey Partrigde, Indian Pangolin, etc to name a few from an exhaustive list. 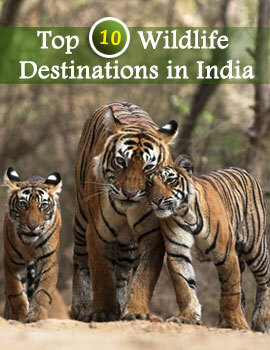 So, pack you bags at the earliest and come for a tour to Srilanka Malleswara Wildlife Sanctuary, Andhra Pradesh today. You would surely be enchanted by the diverse flora and fauna found at this place. Believe it when we say that once setting foot in this place would make you want to return again for more!